From a young age I had always loved drawing and expressing myself in creative ways. In high school I took both ceramics and studio art where I first was introduced to specific artistic techniques. And when I entered into college I had told myself that I wanted to continue learning and enhancing my artistic abilities, but both my studies and athletic career got in the way. It wasn't until four years later, during my last semester of college that I finally fulfilled my promise to myself to take an art course at Duke. Coming into this course I was extremely excited. Art (especially drawing) had always been something that I loved, but it was that I was not able to partake in as much as I had liked in the past four years. I came in with high expectations for myself, as in high school I remembered being a fairly good artist. Yet if there is one thing that I learned from this course it is that (similar to soccer) it is practice and time that makes perfect. And drawing is no exception to that rule. I am going to be completely honest, but I was rudely awakened by (not my lack of skill) but my lack of practice in the arts. 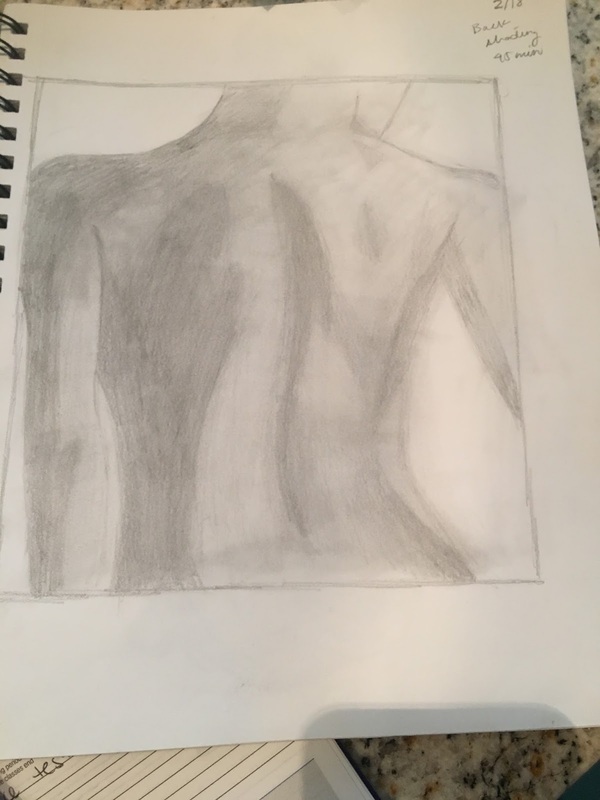 I had come into the course expecting to pick up where I left off in high school, even though I had not persistently practiced drawing in four years. Overall I think this course definitely opened my eyes to the different techniques that can be used to enhance my drawing. I had never used charcoal before, and in various drawings I experimented with using it along side regular pencil. Additionally in the past I primarily done line drawing so when we started implementing shading and value to drawing, it felt very new to me and is something that I didn't completely feel comfortable with. In the future I hope to continue working with shading and value, because when I did successfully do it, I think it completely enhanced my work. I look forward to continuing my artistic learning in the future! Taking this drawing class this semester was a fun experience, especially since it is my senior year. 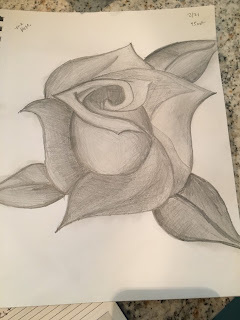 The last time I drew so extensively was back in high school when I took art classes, and this class was an interesting flashback to some of the techniques I used back then which included predominantly pencil drawings and still life. While still life is not one of my favorite methods to draw, it is definitely satisfying to replicate a scene on paper with an eye to the small details. It is also nicely meditative in small doses. Moving on from still life, what I enjoyed the most about drawing was the ability to take different objects in life and insert them into a scene, with no concern of whether or not they would be there in the first place. This was the concentration of the latter part of the semester and it was great because I really got the opportunity to use the techniques learned while still being creative. That being said, the process can also be frustrating. I do not have the concentration and patience necessary to work on art extensively. I tend to focus a lot on smaller details and the need for variations in "color" and depth. I say "color" here because while all our drawings were in greyscale, I wanted to strive to show that the objects were of different colors and this color changed depending on the distance from the viewer and the lighting. This of course was a struggle and resulted in a decent amount of frustration in which I oscillated between "this is not dark enough" and "this is not light enough", and frequently "why do all these objects look like they have the same color". Definitely a good learning experience, but most of my drawings would end up taking longer than I expected and even when done, the more I would look at them, the more I would see things I could nitpick and change. This brings drawing from a relaxing meditative and creative experience to more of a "I have to fix this formatting in Word because the alignments are off." I started drawing sophomore year just for fun. I would take a photograph and try to draw it as realistically and true to the picture as possible. While I enjoyed making these drawings and looking at the finished product, I always wondered if there was a practical purpose to them because a photograph captured the same material with more detail. My mom has drawn her whole life as a hobby and recently went to art school and started working in design. 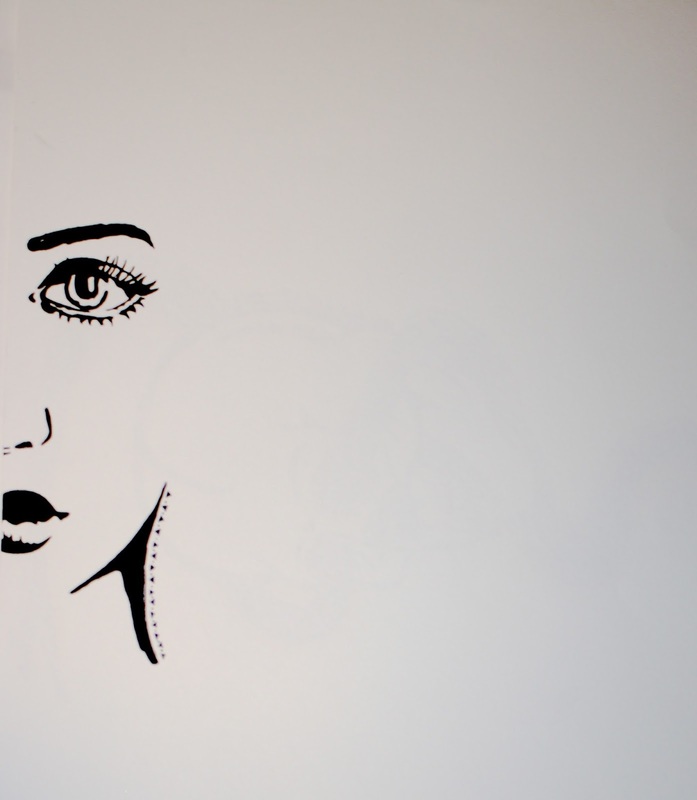 Back at home, I looked through some of her sketches and drawings and noticed that they were very natural. Rather than making sure that every line and shape was perfectly made, she just approximated everything yet the final result would come through effectively. More importantly, these sketches and drawings had a purpose. They were a means of putting ideas on paper in a matter that drawing could do better than any other medium. I wanted to take this class not just to develop my fundamental drawing techniques but also to learn from the ground up with a different perspective. Right off the bat, this class had me drawing from real objects, which I had never done before. I was forced to make approximations and get used to the fact that I could just exactly measure and scale every line I drew. This was the first step in changing my perception of drawing. One of my favorite moments this semester happened as I was sitting in front of the law school, doing my empirical perspective drawing. After finishing up the sketch of the building, I started taking some photographs with my phone to use for shading later. I immediately noticed that the pictures on my phone had a noticeably different perspective from my drawing. No matter where I positioned the phone, the top and bottom of the buildings seemed to slope towards the center much more aggressively compared to what I was seeing in person. Though I was bugged at first, I quickly became excited that I had experienced a fundamental quality of drawing: it is a opportunity to capture things just as the eye sees them, which is something that many photographs cannot do. In many ways, my unshaded sketch was more true to what I saw than the fully-colored high-resolution picture on my phone. I finally found my "practical purpose." Most importantly, this class finally gave me the ability to draw "naturally." It took me until the last assignment, but I was able to put the ruler away and make many rough and approximated objects that came together cohesively as I had seen in my mom's drawings and some of the demo drawings from class. When I was drawing the trees, I used very rough scribbles for the leaves, which is something I would never have tried earlier on in the class. Standing back, these scribbles took form and made better representations of leaves than any of my previous more deliberate attempts to draw them. Likewise, when shading, I ditched the obsession of trying to blend things into a super smooth, uniform color (which I was usually unable to do anyways) and instead made rough lines and strokes that followed the contours of the object. Again, when looking at the whole picture, this shading had the effect that I wanted. Beyond any drawing techniques, to me this assignment had meaning in its content. I was using a collection of images to create a fictional narrative. I was turning my imagination into something concrete. This class has transformed my perspective of drawing in ways that I had never expected. I learned the better techniques that I hoped to learn and improved on fundamentals, but also, I finally discovered a way to put purpose into my drawings. In this sense, I am leaving with tangible improvements to how drawing a part of my life in both a creative and functional sense. As a computer science major, I find the overlap between computer vision and drawing fascinating. I've learned that drawing is not just a physical process but also a mental process, which is perhaps more vital. In order to achieve believability in a drawing, the drawing must also elicit immediate recognition. That is to say that it must contain enough clues and information that our brain can immediately recognize the represented object. These clues include value changes, texture, shapes, and patterns. On a less technical note, I've learned the incredibly meditative nature of drawing. It's forced me to observe the interplay of light on various surfaces, topologies, materials, and volumes. I was surprised by how easy it is to express myself through drawing. Subtle manipulations of light, shade, and texture allow me to express vastly different atmospheres and moods. Drawing is of course a means of self-expression, but for me, drawing serves moreso as an intimate way to interact with the world around me than a means of externalizing my internal joy/turmoil/existential crises. Drawing forces me to slow down and truly look at my subject in a way that I don't seem to make time for outside of the context of art. Like many of my colleagues, it appears, I used to spend a lot of my free time sketching hands, my friends' faces, etc until the academic demands on my time made it all too easy to put drawing on the back burner. "Legislating morality" for myself by taking this class--making myself accountable for a return to drawing--has been so cathartic for me. I had forgotten how rewarding I found the process of making art, and honestly it was pretty difficult to get back into the rhythm again--I find that drawing is the exact opposite of binge watching Netflix (with Netflix, you enjoy it viscerally in the moment and are a little frustrated with yourself afterwards). This is the first formal training I've had since I was around 11 and it was fascinating for me to learn I have such a light touch, which I only realized when I saw my assignments hanging on the wall next to my classmates'. It's pretty antithetical to who I am as a person (I'm the archetypal type A kid) and was surprised to see I'm pretty timid with my markmaking. Despite a conscious and concerted effort on my part throughout the semester, I've only been able to ameliorate that specific element of my drawing little. Though I should definitely still keep my day job, I feel I've improved in leaps and bounds this semester, particularly with landscapes, which I'd never worked with before at all and hope to pursue in the future. I wish Professor Fick could chase me around for the rest of my life and demand study drawings and final drawings on that floppy board so I'd be accountable to someone other than myself when it comes to drawing, but I guess I'll just have to ride the momentum I have going now into the sunset!! I enrolled in drawing without knowing what to expect. Initially, I was overwhelmed by my perfectionism, requiring that each line be perfectly straight and the proportions of my drawings be exact. As a result, my drawings ended feeling rigid and cold, lacking the realistic "feel" that I would see in professional drawings. This left me frustrated and wondering what it was that my drawings needed. Even so, I kept at it, and I noticed a steady development of my skills. Instead of outright rejecting the imperfections in my drawings, I began to embrace them and conform the image to meld with them. I stopped wasting thought at the straightness of a line and instead used the fuzzy edges my hand carved out to give my drawings emotion. Although it took me until the last drawing, I finally was able to bring out my drawing style. But of course, this is only the beginning. Now that I've found my footholds, I can really begin exploring the world of drawing. I stepped into this class apprehensive towards drawing, but I'm leaving more motivated than ever to continue expanding my drawing skills. Not exaggerating -- in a way, this class is a dream-come-true for me. In primary school, Japanese anime sparked my interest in drawing. I started by doodling characters I liked, but when I tried to pursue a more formal training, my parents banned me from doing so. Since I was too passionate about drawing, they feared a formal training would derail me from my school work. In many Chinese parents' eyes, art is not something their children should pursue. I started out sketching all the time, but gradually I lost the habit. I am very grateful that this drawing class gives me a chance to reignite the activity I most enjoyed and to avoid pressure from my family. I like drawing because it provides a way to pull out a picture from my mind and share it with others. However, sometimes I find myself impatient about my speed of drawing on paper. I will find drawing much more enjoyable if it is aided by a computer. 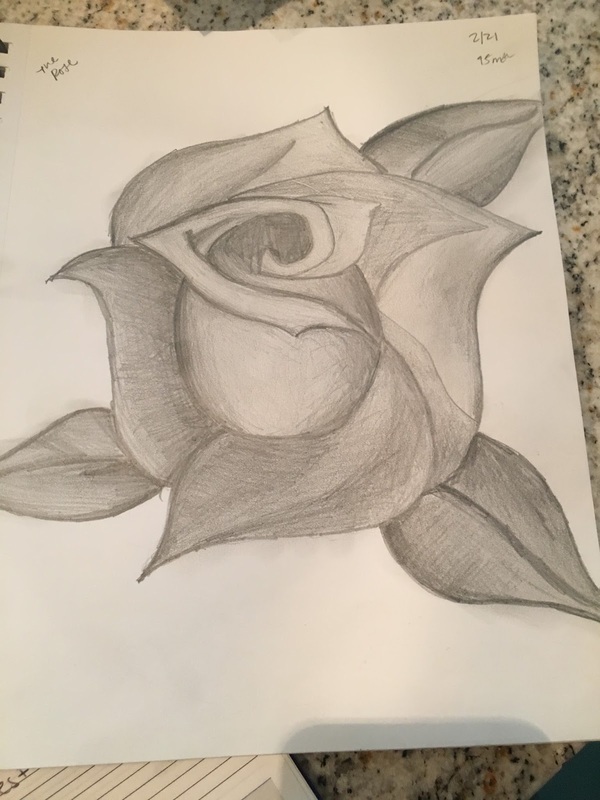 Nevertheless, by drawing using pencil and paper, I learned ways of expression that I would never learn by drawing on a computer. 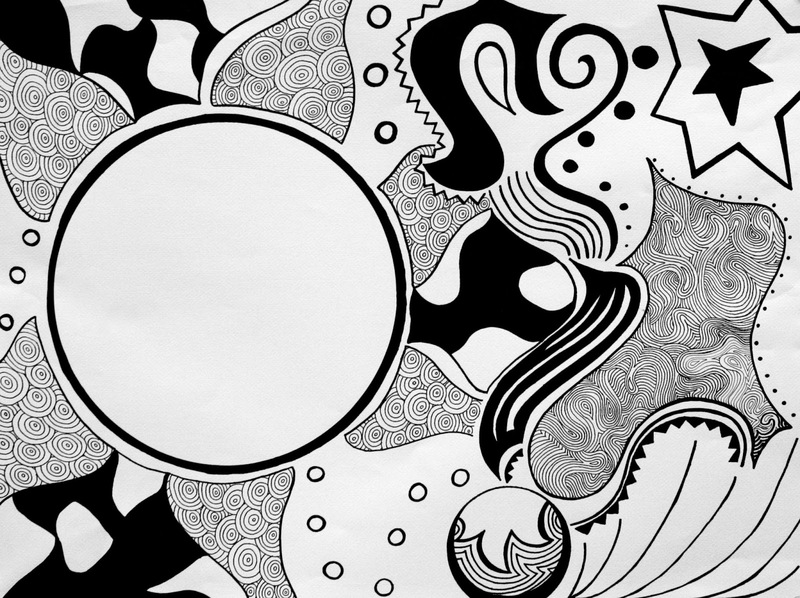 When drawing, I have a tendency to be too detailed. On a computer, it is easy to be detailed. However, when using an actual pencil, I had to find ways to reduce my workload by making certain parts of my drawing more abstract. I find this lesson very important. As Pierre Schneider points out in Louvre Dialogues "One impression already prevails, which the rest of our tour will confirm. Zao Wou-ki’s criterion is spontaneity. He is drawn toward what erupts and pours forth with the unexpectedness and rightness of a spring. The rest is “tiring” despite the talent." Being too detailed might easily fall prey of being "tiring". I don't want to make matter worse by adding "tiring" to my lack of talent. In addition, I find it interesting that I draw better when I trust my feeling, not measurement. I find it just "feels" right when a line is put into the right place. However, if I measure the object, my drawing usually end up deformed. It is possible that when I feel I am able to pay more attention to how the lines of the object come together as a whole. I’m so glad I was able to take this class and finish my last semester at Duke with something so personally rewarding. I used to love drawing as a kid, but as I got older, especially since starting Duke, it’s quite rare that I’ve done something simply because I’ve wanted to. I’ve dabbled in painting since starting college, and although I must admit that I love the explosion of color and texture one can quickly get with a paintbrush, there’s also something a lot more personal that the artist imparts on her art that I feel is especially present in drawing. Every pencil stroke is intentionally applied—there are no shortcuts in a drawing. From experiencing firsthand how much time it takes to complete assignments on the size of paper that we use for class, I’ve gained a greater appreciation for people who commit their studies and careers to the visual arts. It’s not just fun and beauty—it’s work, and sometimes capturing a lawn gets tedious after a drawing a few blades of grass, but you can’t quit halfway. This class has changed the way I look at the world in my every day. I notice now, even when casually walking across campus, when a scene is compositionally appealing. Indirectly I’ve also gained an appreciation for photography, both in admiring the works of professional photographers, and also in applying foreground, midground, and background elements to my own personal photographs. I also must say that I’m very grateful for this class for introducing charcoal to my life as a drawing tool. Even as I got a bit older in middle school and got into drawing portraits, I would always try my hardest to capture very dark values with my shading pencils, and it would never look quite right. The day Professor Fick had us use charcoal for the negative space drawing, it was like a whole new world had opened to me. It was pure fun to play around with the messiness, richness, and utter darkness that was captured when I started to smear the charcoal with my hands. I have to admit that the negative space class exercise and assignments were my favorite of the class, because of the chance to really go all in with the charcoal, and also because of the way it made me change perspectives when looking at an object. I’ve tried to maintain the use of charcoal in my drawings ever since. I’ve noticed that even light strokes of charcoal to capture shadows or dark objects have added an element of depth and gravity to my drawings that I never would have been able to obtain otherwise. It’s one of the many skills I’ve gained from this class that I plan to keep in my life after Duke. I’m grateful to this class for reintroducing to my life a hobby I thought I wouldn’t have the chance to work on again. I’m definitely keeping the habit of having a sketchbook wherever I go! Drawing has been a part of my life for as long as I can remember. My parents have a home video of me doodling people when I was two years old, and my grandma kept a collection of my drawings that I made when I visited her on summer vacations. When I was growing up, drawing could keep me entertained anywhere as long as I had a pencil and paper, and I could spend hours creating imaginary stories in my drawings. Throughout my time drawing, my favorite subject has always been people. I love the nuance and beauty of drawing faces, and am fascinated by how light and shadow have such transformative and defining effects on the character of portraits. Though I used to almost only draw from my imagination and without direct references, in recent years I have come to realize the incredible value of reference images. The use of these images has helped me to refine my skill in creating more realistic portraits, as well as to study the subtleties of how shadows compose an image. While this has sharpened my attention to detail, my perfectionistic tendencies often come out a lot more when I draw. It is very easy for me to spend hours relentlessly picking away at minute details of a single drawing, trying to find the most ideal, accurate representation of a face. But despite the satisfaction that a painstakingly realistic image can bring, this sometimes takes away from the freedom and style that makes drawings interesting. Fortunately, this class has challenged me to recognize that ‘perfect’ can be a bit boring, and has helped me to learn to embrace abstraction and to accept messiness in drawing. By stepping outside of my comfort zone of sketching figures and portraits to draw more natural settings and scenery, such as greenery and clouds, I have learned to use rough, random, or scribbled marks to bring dimension and texture to my work. This more liberal use of abstraction and texture has not only taught me to create natural sceneries for the first time, but also has brought greater complexity and variety of values to my portraits. This class has also helped me to challenge myself in terms of the scale of my drawings. When this semester started I was hesitant and intimidated by the scale of the work that we had to produce, as I had only ever drawn at a fraction of that size. But I came to realize that working bigger was, in many ways, much easier than working small, because I simply had more space to include variation in value, and adding finer details was more manageable. Working on a larger scale to draw an entire scene, rather than a single object or figure, also helped me to pay closer attention to the composition of a drawing, as I needed to learn to adjust the relative sizes and placements of each constituent part. Thus, as a whole my experience in this class has really pushed me to think more critically about my work, and I hope to continue to improve upon my drawing moving forward. Art has been a large part of my life from an early age. In middle school, I was on route for an art scholarship to Wellington college, I instead ended up attending Eton college, a school which doesn’t offer art scholarships. Nonetheless from day one in high school art was a huge part of my identity, I won a few competitions at school and went on trips to southern Spain where we spent weeks touring and sketching. Art, to me is a release. It’s a way in which I can take a few hours out of the day, relax and draw. Whenever I sketch, I feel a huge sense of satisfaction and pride because in my eyes the art of creating something out of nothing is one of the most rewarding things anyone can do. Art is a stress reliever and such a powerful therapeutic tool. 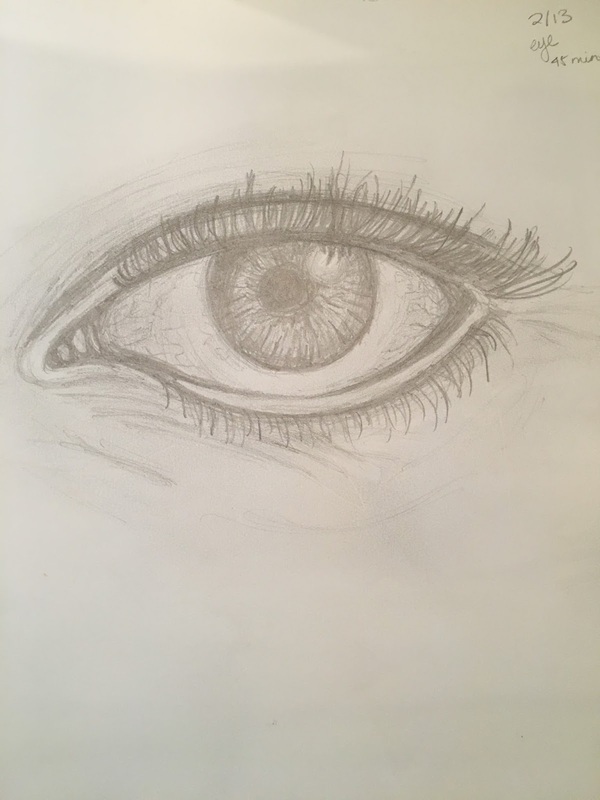 I have thoroughly enjoyed this class, although time consuming due to my OCD-esqeue style of drawing, I have learnt a whole lot about how I can improve my drawing. For example I’d never once before used a blending tool and boy did it make a difference, I’d never drawn faces before and through my sketchbook, I discovered how fascinating the subject was and how difficult it is to capture it with a pencil and I've also learnt about the perspective and composition of a drawing. Overall this was a huge hit of a class and I’ve loved every minute of it! Art has been a part of my life for as long as I can remember. As a child I was always making some kind of art: not only drawing, but painting, shaping little animals out of Sculpey clay, making collages with magazine clippings or foam shapes or glitter, or making creatures out of beads and wire. I would fill countless coloring books and make little mandalas with my aunt, an art therapist, and I would doodle in my notebooks at school. I grew older, and art became a less integral part of my life as I got busier and more focused on academics. 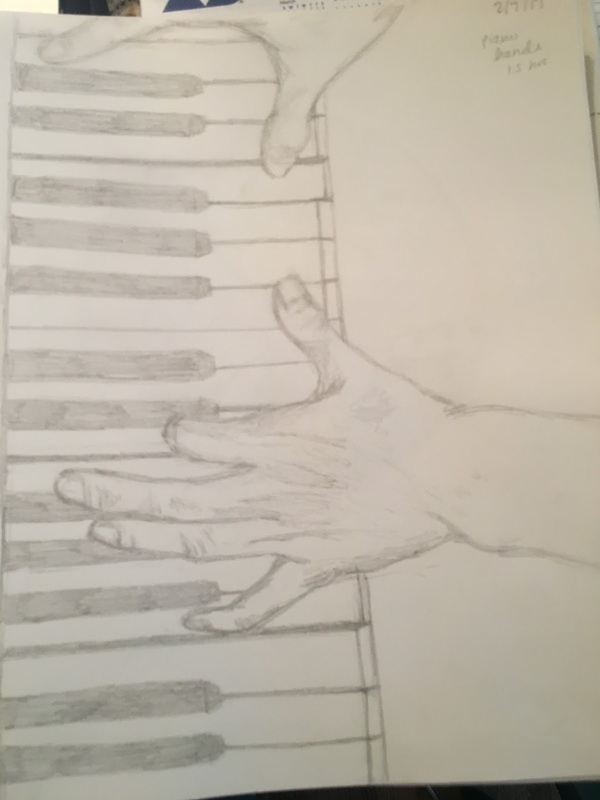 I still managed to make time for music, as I still practiced the piano regularly, but my interest in visual art waned somewhat. In my freshman year of high school, I took painting and printmaking, and I revisited it in my senior year when I decided to forgo AP Spanish in favor of AP Studio Art with some of my best friends and my art teacher I'd had since the first grade. Throughout my experiences with art in my life, I grew more adept at drawing through practice, but my education in the medium was fragmented. I had never taken a class that focused on it, so I was excited to gain that experience through this class at Duke. At first, this class was both enjoyable and quite frustrating for me as I struggled to manage my time with my drawings and my engineering classes. I tend to be a perfectionist, so it was difficult for me to actually sit down and start drawing because I would get hung up on all the potential mistakes—I would rather not do something at all than do a mediocre version. Once I actually began drawing, it was often therapeutic and relaxing, unless it was late at night as I tried to finish the piece on time while still doing a good job. During the process, one of the things I struggled with most was accurately capturing the shapes of the objects I was drawing, but as we got into later assignments, I really enjoyed experimenting with different textures to represent different elements of the image. It was also difficult for me to space out my sketches because of my time management; I neglected them for the first part of the semester and ended up catching up during the last several weeks of the semester. I'm actually glad it happened this way, because during those last weeks I was drawing very often and I started using my spare moments to churn out sketches. It's almost become a habit, and even though we turned in our portfolios today I've still found myself thinking about when I can draw in my sketchbook. I really want to continue drawing regularly in a sketchbook after this class, and I think the way that I ended up completing my sketchbook will help meet achieve that goal. I also eventually found that setting a timer for my sketches helped me to be less of a perfectionist. It allowed me to focus more on creating a beautiful representation of the image in front of me rather than an identical and realistic one. Over all, I enjoyed this class immensely and I'm very glad that I took it. I learned so many helpful techniques that I had never considered; I've improved tremendously at drawing from observation, something I'd always been wary of before; I've made a habit out of sketching, something that I can use to stay connected to art and improve my drawing in the future; and finally, I've learned how to enjoy drawing again, rather than having it be a stressful endeavor. 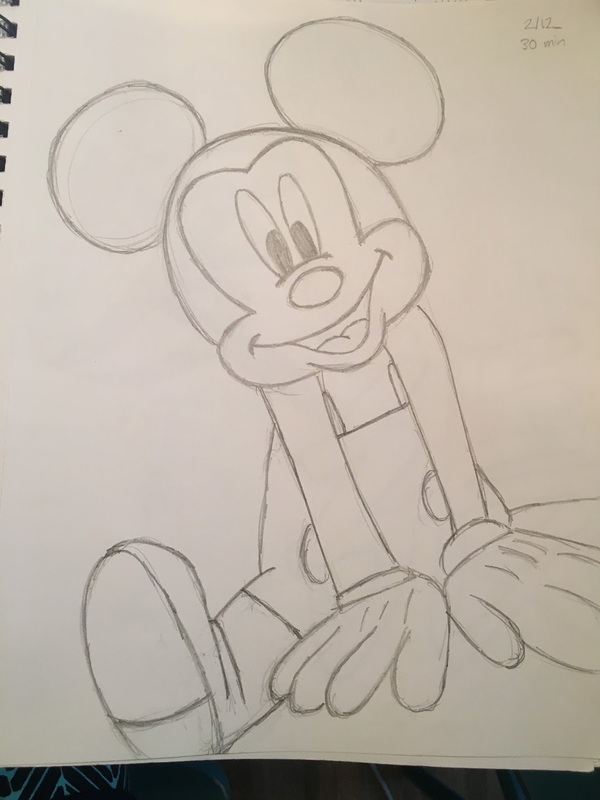 I began drawing when I was about 9 or 10 years old in the 4th grade. I had a couple friends who I would draw things like spaceships and cars in class with, and I remember vividly a time when I had discovered that I actually found an interest in drawing, and wasn't too bad at it either. I would draw characters from video games and tv shows, athletes, skateboarders, etc. but I never really developed a passion for it at the time. Sports had engulfed my interest completely around this time but I had always appreciated art growing up. As I grew older I strayed away from drawing but never loss my appreciation for art. I gravitated more toward building things like legos and later on home/building replicas. Since I was such an active kid growing up playing many sports it consumed most of my time. I gravitated back towards drawing slowly through middle school and high high school when I would draw designs and create art to put in/on my binder. I collaborated my interest in sports and art, and created sports related pieces like sports brands, skateboard and snowboard paraphernalia, etc through my middle/high school years. I also would buy paint pens and a new backpack every year and would draw a design or words or anything I felt like I wanted on my backpack that year. Later on, during my junior year of high school, I bought a pair of all white vans and some fabric pens, and drew an indian design on them that I ended up being very proud of. I didn't realize it at the time, but looking back on it now I realize that I had always somehow managed to maintain my art/drawing interest growing up. Growing up I had always liked tattoos and desire to have some one day (possibly due to my siblings having many), but toward my later high school years and early college years I developed a strong interest in them. I started looking at a lot of different style tattoos and occasionally drew some designs myself. I quickly realized that I loved realism style work and wanted that kind of work done on me. I was fascinated at the detail that these tattoos were able to capture to where I would spend an absurd amount of time looking through these kind of tattoos on the internet, and I still do to this day. This drawing class and almost revived my drawing roots that I had when I was younger and I'll forever be thankful that I took this class. I have began to draw tattoos ideas for fellow teammates as well as myself, and plan to do so for as long as I can. this class has inspired me so much I have thought about possibly becoming a tattoo artist (even though it's not likely). Although I had a hard time completing drawings on time, since I am a slow worker, it forced me to draw and discover new techniques and qualities that helped me in my pursuit of perfecting realistic art. I plan to continue to draw and design tattoos and other things as well. I have always preferred painting to drawing because there is the added dimension of color and different brushstrokes. With different sized brushes, I can lay out a background in just a few strokes or if there is water, it is much easier emulate with brush strokes than pencil strokes. Alternatively, sketching does have the advantage that it is much more convenient to do at a short notice. I just need some paper, pencil, and eraser. Meanwhile, for painting, I would need all the different paint colors, all the different brushes, canvas, and water to clean the brushes- making it a much more involved process. If given the time, I would prefer to paint a subject than to sketch a subject, but sketching a study drawing gives great insight as to how things fit together (or alternatively how they don't fit together) and provides a good framework for the final piece. Drawing is also perfect for ideas that are forming since these can and should be jotted down quickly and developed further if needed. When I do draw, I like to use a very similar style to the way I paint. I like to make very accentuated sketch marks to give my drawings texture much the same way I do when I paint. My favorite genre of painting is definitely impressionism which explains my style of painting and consequently my style of sketching. I think the biggest things I've been able to take away from this class has definitely been the discussion of negative space and the use of study drawings before working on the final piece. I have never looked at drawings in terms of negative space so that provided a new perspective for me, and as I had mentioned before about the study drawings, they provide a good means for me to familiarize myself with the subject matter. For instance, for our fictional piece, I tried to use a certain perspective of the basketball court for my study drawing that simply didn't work. I then was able to get a feel for the best way to capture everything and switched to a new perspective for the final piece. Although not my favorite medium for visual art, I do value the importance of drawing, and it was definitely nice to spend a semester getting a lot of practice sketching and drawing. I'm the first to admit that I'm a perfectionist. I like straight lines, carefully arranged books on my desk and struggle to turn in an assignment that I'm not 100% proud of. For this reason, this drawing class has been tough. No matter how hard I try, my drawings are always a work in progress. 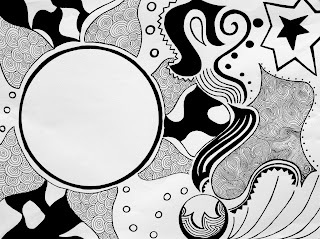 These drawings were abstract and completely under my control. If I didn't like something I created, I ripped out the page and started over. However, this class has forced me to think in a different way. At first, shading drove me crazy because I couldn't seem to get the values right. For my shading assignment, I tried to experiment with charcoal but ended up hating the final product. I thought it looked messy and unrealistic. Although my first version took me several hours, as a stubborn and irrational perfectionist, I just couldn't turn it in. So, I started over using pencil and spent a late night trying to get the shadows and composition right. I didn't like that version either. The next day, I turned in both and explained my frustration. After the feedback I got from Professor Fick that day, I stopped scrapping the work I thought was a little off. Instead, I began to erase, edit and adjust my drawings. Although I wasn't always completely satisfied with the final product, looking at the big picture rather than getting hung up on little details helped me create more interesting work. My favorite drawing from this semester, which was an empirical perspective of the stairway leading down from Perkins and Bostock, was ironically probably also the messiest. There are very few white spaces (which is a huge departure from the drawings above), making the scene seem more dynamic. When I found out that we had the opportunity to edit our drawings before submitting them for our final portfolio, I was a bit tempted to throw away my shading assignment and start over (Don't worry, I didn't!) But, after a few months of this class I feel much more confident about my work and have come to embrace its imperfections. I now know that my favorites of my classmates' drawings are always expressive and dynamic due to a range of values and textures. I am grateful for all of the feedback I've received from both Professor Fick and the class – this class has really helped me work outside of my comfort zone! It happened again while I was watching This is Us. Usually completely fixated on my new favorite show, I was getting distracted. 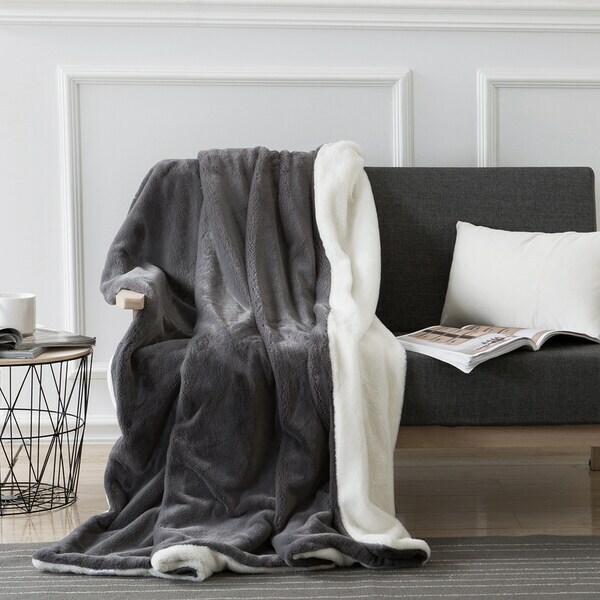 First by the almost-black TV monitor between scenes, then the metallic vase on the coffee table, and finally on what really won my attention: my fuzzy blanket, curled around itself and intertwined between my roommate and me. Those shadows—or were they just folds? Its soft fuzz that reminded me of the grass I had tried so hopefully last week to make accurate…its ranging shades of grey, caused not only by external light, but by a variance in thread pigment. This instance is not only just one example of me wondering how and if I could depict something in front of me onto paper, but also a testament to how my perception and understanding of my surroundings have completely shifted since I began drawing this semester. I was attracted to the course due to the drawing skills necessary for my architecture major, but had had no formal drawing experience for many years. Initially excited to take it but unsure about the real relevance Drawing 199 had to my education, I now am very aware that this change that I have seen in myself perfectly encapsulates why I should be drawing. The act of drawing not only requires a level of understanding of space around you in order to translate it, but also a curiosity towards what makes something look the way it does. This curiosity leads to both investigation and attachment, as opposed to naturally passive intake. While frustrating if ever my drawings do not look exactly as I had hoped, I am very thankful that I have spent this semester drawing, watching, and trying to understand. This attention to detail will be crucial if I pursue architecture or any other field; regardless, I hope to hold onto my pencils and remember that I am always able to maintain or to return to this level of engagement with all that I see. I have enjoyed drawing since I was a young child and this hobby has stayed with me throughout my entire life. I have continued to doodle objects, body parts (mainly eyes and hands) and designs that catch my eye and I am happy I had the opportunity to do so in an academic setting. Yet, this class pushed me out of my comfort zone with drawing and challenged me to draw topics that I was not as familiar with. I typically enjoy drawing small things, whether that be one animal, one object, one part of the body or one small setting. Most of my sketch book is actually just that. I started with drawing other art, such as a bike canvas in my friend's apartment, and moved to smaller objects in my room, like trail mix or a ukulele. My preferred sketches stayed in that realm for the most part. I drew hands, eyes, shoes, the collarbone area, cartoons, etc, which I really enjoyed. I prefer to draw smaller objects or more focused areas like that because I like the amount of detail I am able to include if the drawing itself is smaller. I had never really employed a wide range of values to my sketches, since my focus was primarily on getting the details of the object down i.e. 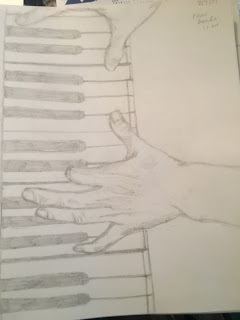 the veins, nails, shape, and angle of my hand drawings, but this class has challenged me to experiment with that more. Rather than drawing one or two objects, the larger projects in this class entailed creating an entire scene. I struggled with this a lot, as my previous experience in drawing only included one or two objects within a scene. Drawing on a larger scale and considering perspective, sizing, values of the foreground vs. mid ground vs. background, and telling a "story" at the same time was a lot more than I was used to with my drawing. I typically do not choose a location as the subject of my drawing, but I enjoyed trying to fill the location with objects to create a unique narrative that was personal to me. I had never thought about creating a narrative in my pieces before, since I usually just draw objects that I find interesting, but I found it to be both difficult and interesting. My favorite piece this semester was the fantasy project on Duke campus. It allowed to to bridge my other aspects of my life, skiing and Duke, through the medium of my drawing. 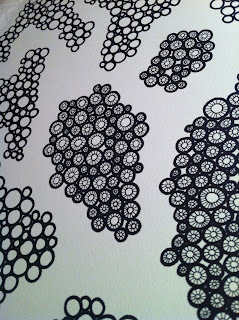 Once I approached it as smaller drawings that I'm used to within one larger piece, it was easier to handle the project. I still struggled with perspective in my pieces and I hope to improve on it in the future. I liked drawings that have a strong foreground that quickly angles back into the mid ground and background because it was definitely something I couldn't do as successfully this semester, but something I hope to get better at. I also can rarely draw something without a strong reference i.e. a picture, a previous drawing, etc. I don't know how people free hand without a reference because all my drawings this semester have had strong references, but that is also something I'd like to try. Finally, I'd be interested in different mediums of art. I have now taken traditional drawing and experimental drawing (primarily focused on photoshop) and I would like to eventually try painting. It'd be interesting to learn how to use colors to create a narrative rather than values (as we did in drawing) to do so. When I was a little kid, I had probably a million different ideas about what I would be when I grew up. Between the ages of six and nine, I thought that I should be a farmer, a park ranger, a biologist, an author, and a business manager. Around age ten I figured that I had finally found the perfect career path -- I would be an artist! Though my interests changed as I aged (I moved between picture book illustrator, cartoonist, graphic designer, and modern artist) art was always a central part of my life. I spent elementary and middle school painting, drawing, sculpting, crafting, and chalking. I would draw pictures for my friends and family members, to the point that our home was covered in pieces of my art (and still is. My mom is a big fan). As I entered high school, other aspects of my life started to cloud my vision of a future filled with artistic work. I became interested in public policy and advocacy work, and started to commit more of my time to other academic pursuits. After senior year, I felt like I had lost my hold on art. When I wasn't enrolled in an art class for school, I didn't make time in my schedule for creativity. Throughout my first year of college, I always felt like something was lacking. Though I will never be an art major or pursue a career solely in art, I need to find a balance between art and my other interests. For me, art provides an opportunity to process my daily experiences and think in new ways. Art is exploration and expression, and I think that everyone should make some time for art. I worked at a community arts nonprofit in Cleveland, Mississippi last summer and spent much of my time helping children learn to use different mediums to paint, draw, sculpt, and craft. Education through art is so valuable to young people, and I am a firm believer in teaching life lessons through doing. My vision of art is pretty broad -- it's more about the process than the product, and I think anything can be a kind of art or expressed as art. I hate art elitism, and for me there are lots of different ways to give creative work value. Taking this drawing class helped me to rediscover how much I love to create, especially through documenting my surroundings in my sketchbook. I am determined to continue sketching everyday, even if I am not enrolled in a class next semester. Though this class covered many introductory techniques that I had already practiced in prior classes, I found that it provided a great way to redevelop skills that I had lost over months without practice. 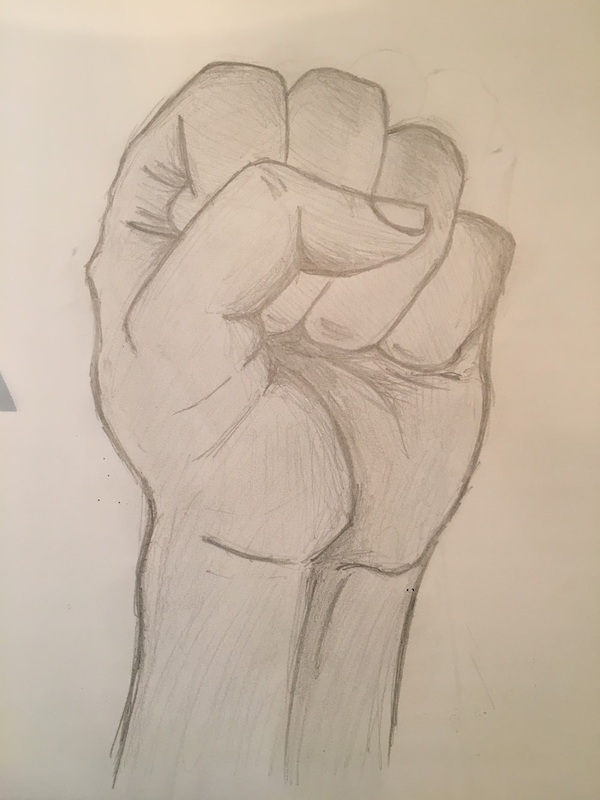 I was surprised by how much my work improved over the course of the class, and hope that continued drawing will help me to continue to get better. I wish that everyone had the opportunity to use drawing or crafts to practice their observation skills and to step back from the day-to-day stress of many traditional Duke courses. As a Gallery Guide for the Nasher Museum of Art, I always ask students to look more closely at works of art. I encourage both elementary and middle schoolers to focus on the small details in a painting or sculpture in order to better understand the artist’s process and discover previously unseen details. As an Art History major at Duke, I encourage myself to do the same thing. By pushing myself to look more closely whenever I'm viewing a new work of art, I'm able to learn much more about the composition, coloration, focal point, etc. I’ve discovered that the best way to prompt myself to see these things is by visually describing every detail through drawing. I love to draw because it pushes me to constantly look back and forth between the object in front of me and the sketchbook. I must spend time observing each object in order to create an accurate picture in my sketchbook or drawing pad. This technique of creating sketches of the sculptures, paintings, and prints I’ve seen in class has enhanced my art history knowledge (because I’m taking more time to really observe every detail of the object). In addition, I’m spending more time in the Ackland, NCMA, and Nasher than ever before, because I’m there to sketch. Although I took time this semester to draw works of art for my Art History courses, I also filled my sketchbook with Disney drawings. 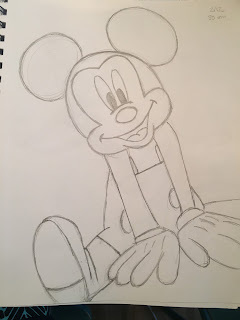 I decided to sketch Disney characters because I was excited by the prospect of looking more closely at these cartoons. I’ve always loved Disney animations, and I wanted to see how difficult it was to accurately capture each character. I discovered that even the slightest change to the proportions of a character completely altered its appearance, to the point where it was almost un-recognizable. Only when the proportions were as true to the original image as possible, was the character revealed. For this reason, I tried to make sure that each character was as accurate as possible before I used color to complete the drawing. Below are images of Wall-E and Donald Duck that I drew during the semester. By spending time looking more closely at these characters, I came to appreciate the subtleties in their designs (for example, the fringe of hair on Donald’s forehead and the joints at Wall-E’s elbows). I couldn’t help but wonder how many iterations of these characters were sketched before the final look of the character was decided upon. With this in mind, I began to draw a few characters of my own, including dragons and colorful birds. I tried to create distinct creatures that were different from anything I’d seen before. In conclusion, I thought that this drawing class was simply going to be something that I could check off my list of required classes for the Art History major. Instead, I discovered a process by which I could actually become more familiar with works of art. I realized that sketching could be a powerful tool that would push me to look more closely at works of art.